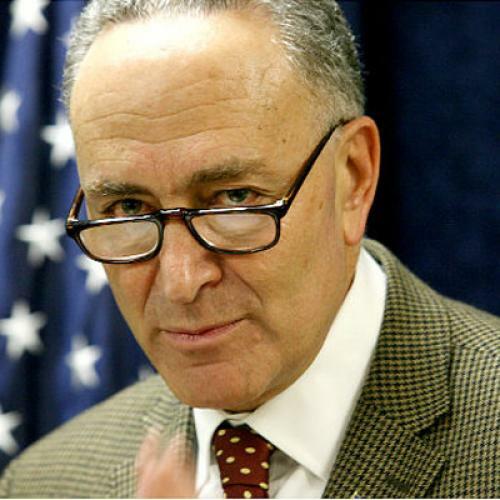 ... Sen. Chuck Schumer, D.-N.Y., says Democrats will focus "like a laser" on the issue in 2012. True, Schumer seems more interested in the stagnation of middle incomes (median income declined during the last decade) than in the "upper tail" phenomenon of the top 1 percent, 0.1 percent, and 0.01 percent doubling and tripling their share of the national income since 1979. The latter trends have a lot to do with the financialization of the U.S. economy and lax regulation of Wall Street, and Schumer has long been one of Wall Street's most loyal defenders on Capitol Hill. But Schumer supported Dodd-Frank (though he subsequently tried to water down its regulation of derivatives). I doubt this latest declaration signals an outright conversion to re-regulating Wall Street, but it will be interesting to watch where Schumer goes with it. I'm not one of those people who say that the upper-tail trend is the only part of the income-inequality boom worth paying attention to; educational failure, the decline of unions, and other factors need to be addressed too. But the one percenters' takeover of the U.S. economy is an important part of the story, and you can't really take on income inequality without discussing runaway compensation on Wall Street and in corporate suites.